Download Project Team Impact template and prepare according to instructions on this page. Route to ORSP via the AAR process in eRPM. 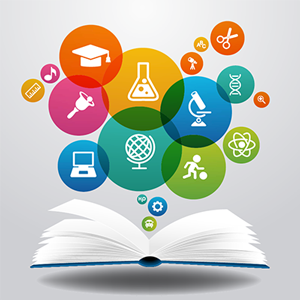 As a public institution, the University of Michigan's (U-M's) mission is to generate and disseminate knowledge in the public interest for open scholarly exchange and academic freedom. What is Openness in Research? does not conduct research that restricts the freedom to disclose the existence of the agreement. Sometimes a sponsor requires a publication delay (of more than 180 days) or requires that it grant its prior approval of a research publication. When this happens, a restriction must be approved by the Vice President for Research via an Agreement Acceptance Request (AAR). What Are the Steps Needed to Address these Restrictions? Publication restrictions are approved on a case-by-case basis using the AAR request via the eResearch Proposal Management System (eRPM). An ORSP Project Representative initiates the AAR in eRPM. The AAR then appears in the Project Team’s eRPM work queue. ORSP reviews the AAR and forwards it to the U-M Office of Research. The Vice President for Research (or his/her delegate) gives final approval of the publication restriction. ORSP project representatives will provide input and advice in the preparation of an AAR. 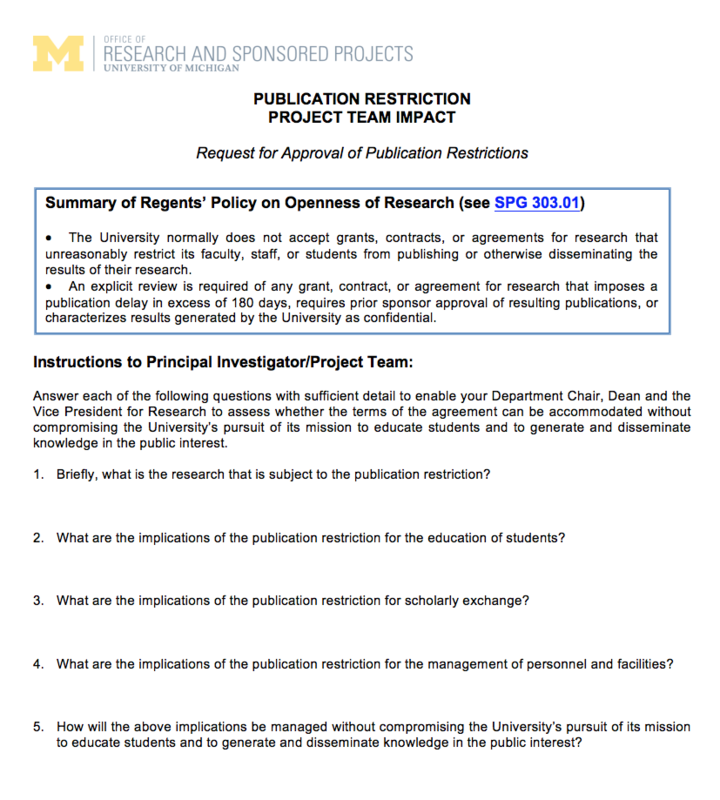 Implementation of Regents' Policy Concerning Research Grants, Contracts, and Agreement - Standard Practice Guide (SPG) 303.01 The full text of the U-M Regents' Policy Concerning Research Grants, Contracts and Agreements (approved by Regents 4/17/1987). Instructions to Principal Investigator/Project Team: Answer each of the following questions with sufficient detail to enable your Department Chair, Dean, and the Vice President for Research to assess whether the terms of the agreement can be accommodated without compromising the University’s pursuit of its mission to educate students and to generate and disseminate knowledge in the public interest.